Born in Tokyo, Grew up in Saitama. Has a younger sister. He moved from Artsvision to VIMS on October 1, 2013, and his official site has been shut down on May 21, 2015. His Koichi performance was so bad but still Great Voice Actor except for when he screams. His Todoroki and Johnny Joestar (EOH) performances are my favorites. kaji.... i want to let you know that you're one of my favorite seiyuus and that i appreciate your hard work.......BUT DON'T YOU DARE!! take the 5th place from rie kugimiya in the top favorite people... your popularity has been increasing TOO FAST! What!! I was so sure Mamoru Miyano voiced Todoroki. Too suprised from FURY! Brad Pitt ✖ Shia Labeouf! 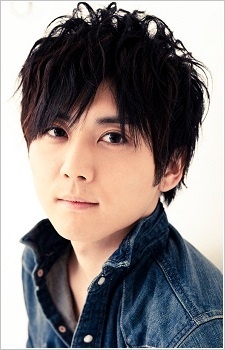 I just listened to get KAJI-SAN's DUBBING! And the same feeling which I got with Koku in B:The Beginning!